Positive Changes at Authentic Gaming - New Games and a New Studio opens. We’ve come to expect changes at Authentic Gaming, and in the last 4 weeks Authentic has made some significant improvements to their product portfolio. With deals being announced virtually every month in the Live Casino arena you could be forgiven for thinking that Authentic’s are more of the same. Authentic Gaming has been in the forefront of developing land based streaming solutions and the changes echo that ethos. It’s not more of the same, it’s a re positioning of an existing solution and the launch of something new. What are the Changes at Authentic Gaming? When I say changes I’m referring to the release of new games, the opening of a new Studio and the expansion of their Auto Roulette solutions. Live Steaming from the Foxwoods Resort & Casino based in the USA was the first major implementation in June. This was followed by the creation of a dedicated studio in Malta, which is being used to house the newly developed Auto Roulette solutions. This was then followed by the launch of a new unique presenter led auto roulette table (Blaze Roulette). 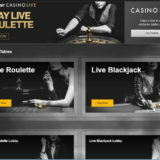 Perhaps the major coup for Authentic this year has been the deal and subsequent launch of the first live streamed roulette table from a US land based casino. 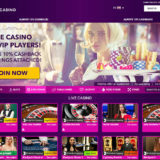 The Foxwoods Casino Resort signed a deal with Authentic to stream one European Roulette table from its casino in Mashantucket, Connecticut. The table is available 24×7 and is located in a special VIP area within the casino. This is a significant move in the industry, one that’s been on the cards for a while. It was just a case of who would get there first. We will undoubtedly see other live casino providers, I’m thinking Evolution and Ezugi follow suit at some point. The creation of a dedicated studio in Malta is a first for Authentic Gaming. 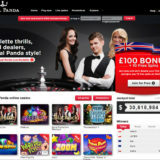 Traditionally all their tables have been streamed from premium land based casinos. 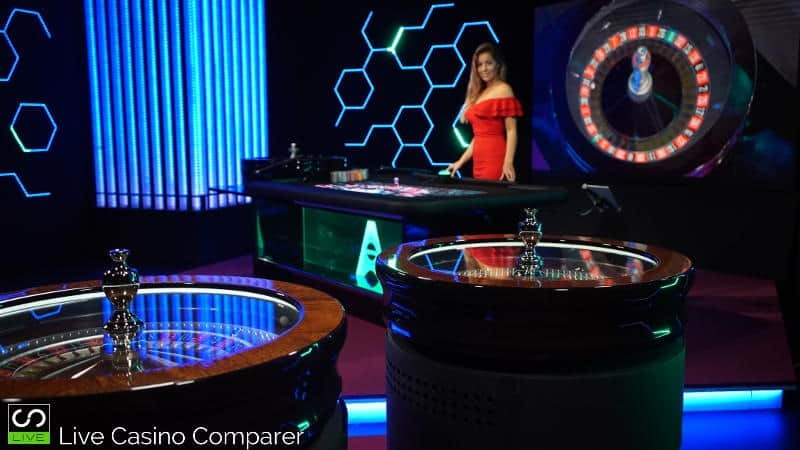 However to support some new innovations and to expand their Auto roulette solutions they have built a live casino studio in Malta to house them all. The studio is being referred to as the Authentic Arena and houses all of the Auto Roulette games and their new product Blaze Roulette. According to research performed by Authentic Gaming almost 45% of Live Roulette players are playing Auto Roulette. I sort of knew this but not the percentages involved. You only have to look in the live casino lobbies or in land based casinos to see how many people play this version of roulette. It’s this information that has led Authentic to improve it’s Auto Roulette solution. The aim is to give players a greater selection and enhanced playing experience. All existing Auto roulette games have been relocated to the new Arena studio in Malta. Auto Roulette 30 has been renamed Auto Roulette Live Classic 1. 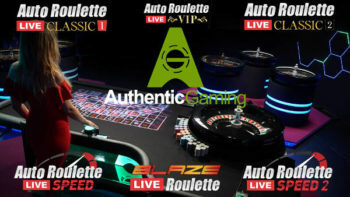 Auto Roulette 60 has been renamed Auto Roulette Live Classic 2. Auto Roulette Live Speed 1 – This has a betting time of 18 seconds and a full game round time takes 55 seconds. Auto Roulette Live Speed 2 – Has a betting time of 23 seconds and a game round time of just over 60 seconds. 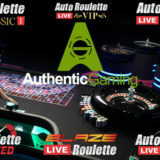 Auto Roulette Live VIP – This has a betting time of 30 seconds and a full game round time of 65 seconds . A new Duo Auto Roulette has been introduced. This consists the two classic Auto Roulette wheels in one playing interface, which makes playing two wheels at the same time easier to do. This is a new concept for Authentic Gaming as it’s a dealer presented Auto Roulette wheel. What makes this different from what we’ve seen elsewhere is the use of LED lights on the table. They are used to highlight the winning number and sections. It’s all quite glitzy, with the presenter working hard to whip up enthusiasm with players. It’s got to be a difficult job and I’m sure with a bit more time the presenting style will feel a bit more natural. The table is available from 19:00 – 01:00 each day. If you’re interested in viewing any of these new games then I’d recommend trying Mr Green. You’ll also find the games at Unibet and Leo Vegas.